The beets its self are not only healthy and beneficial to consume, but you can also make natural red food coloring obtained from beets. 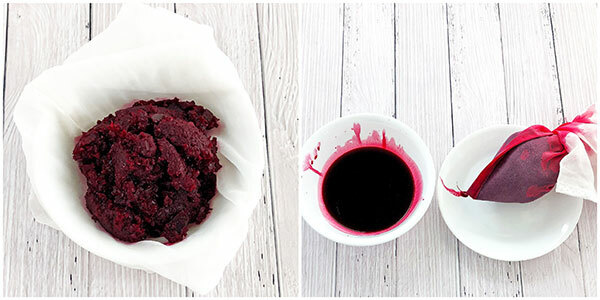 This Natural Beet Juice Red Dye has no chemicals and is perfect for coloring cake batter or frosting red or pink. Artificial food coloring is used most widely and is a very dangerous additive in the food we eat, like rainbow cereal is one example. There are many people who have an allergic reaction to it as well. 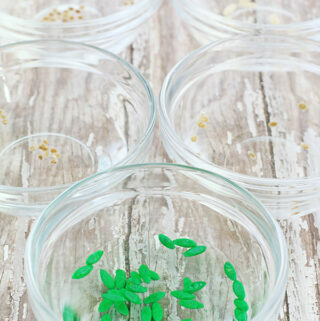 But making homemade food dye is actually very easy and inexpensive. 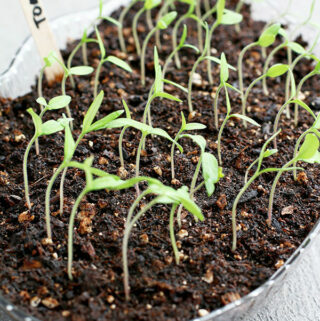 Lastly, I wanted to say that I’m so glad I choose to do blogging as a carrier and regret I didn’t start it earlier (In 2014 I started my main blog which is about recipes called Valya’s Taste of Home). I don’t know why I chose that name for a food blog, but now I’m glad I did. 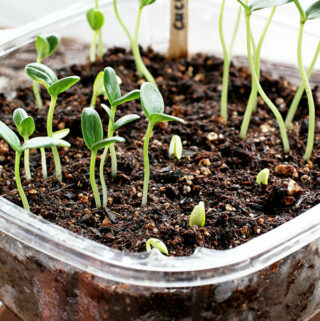 I learned and am still learning about food and what goes into making the food we eat. 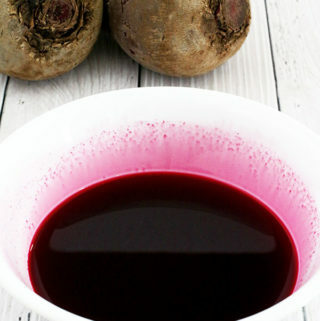 To get the best results of making a natural red dye out of beets, you need homegrown or organic beets because they are deeper red rather than maroon/burgundy in color, resulting in a beautiful dark maroon color. Peel, rinse, and place into a small sauce pan. 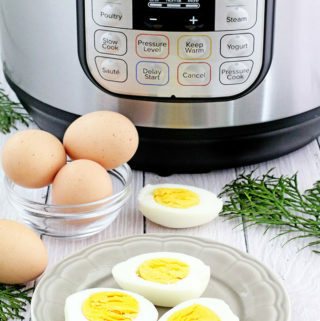 Pour 2 cups of water and bring it to a boil. As soon as the beets come to a boil, reduce the heat and let it simmer for 30 minutes. 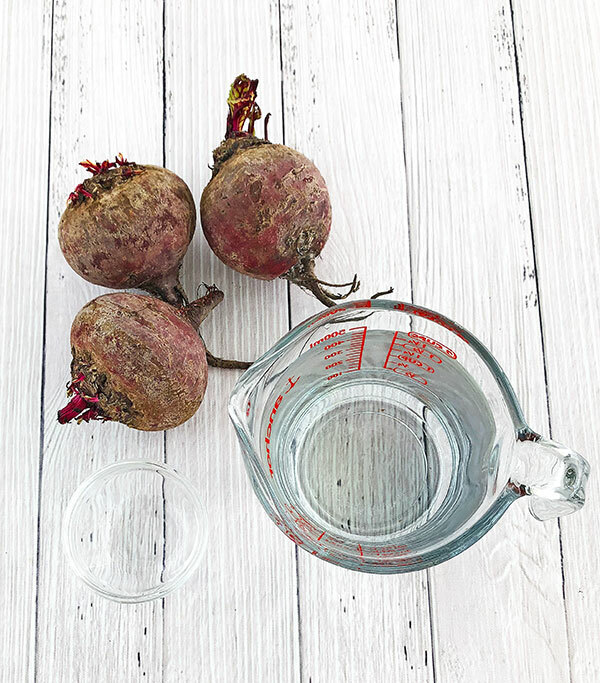 When beets are done boiling, remove from the heat and let cool to warm. Dice cooked beets, transfer them back to the original red water the beets were boiling in, and let them cool to cold releasing more red color (for at least 4 hours or overnight). Next, bring diced beets to a boil, reduce the heat to low and let them slightly boil for 15 minutes. 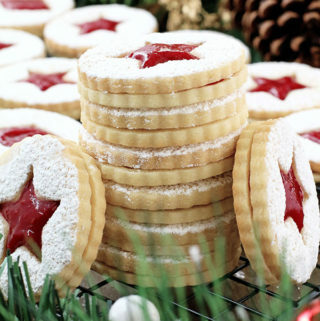 Remove from the heat and let it cool to cold. There will be very little liquid left and that’s normal. 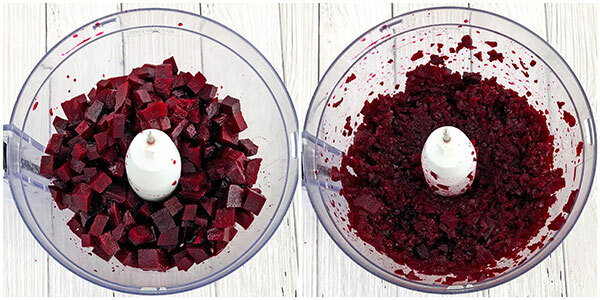 Transfer cooked diced beets into a food processor and pulse for 30 seconds. Finally, transfer processed beets into cheese cloth (or any cloth with minimal holes; I made my own cheese cloth out of white curtain material). Squeeze the juice out as much as you need for the recipe. Add vinegar, stir and there you go! Natural, no chemical added red dye for any recipe of your choice. PS. (I do not discard the red beet scraps from the cheese cloth but make red borsch out of it). Store extra dye in the fridge for couple of week. 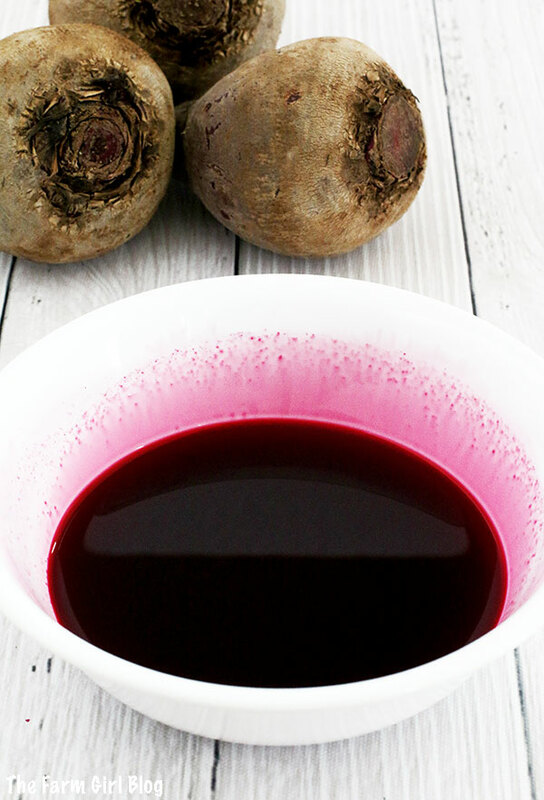 This Natural Beet Juice Red Dye has no chemicals and is perfect for coloring cake batter or frosting red or pink. Artificial food coloring is used most widely and is a very dangerous additive in the food we eat, like rainbow cereal is one example. There are many people who have an allergic reaction to it as well. But making homemade food dye is actually very easy and inexpensive. Peel, rinse, and place into a small sauce pan. Pour 2 cups of water into a sauce pan and bring it to a boil. As soon as the beets come to a boil reduce the heat and let it simmer for 30 minutes. When beets are done boiling remove from the heat and let cool to warm. Dice cooked beets, transfer them back to the original red water the beets were boiling at, and let them cool to cold releasing more red color (for at least 4 hours or overnight). Next, bring diced beets to a boil, reduce the heat to low and let the slightly boil for 15 minutes. Remove from the heat and let it cool to cold. There will be very little liquid left and that’s normal. Squeeze the juice out as much as you need for the recipe. (I do not discard the red beet scraps from the cheesecloth but make red borsch out of it). 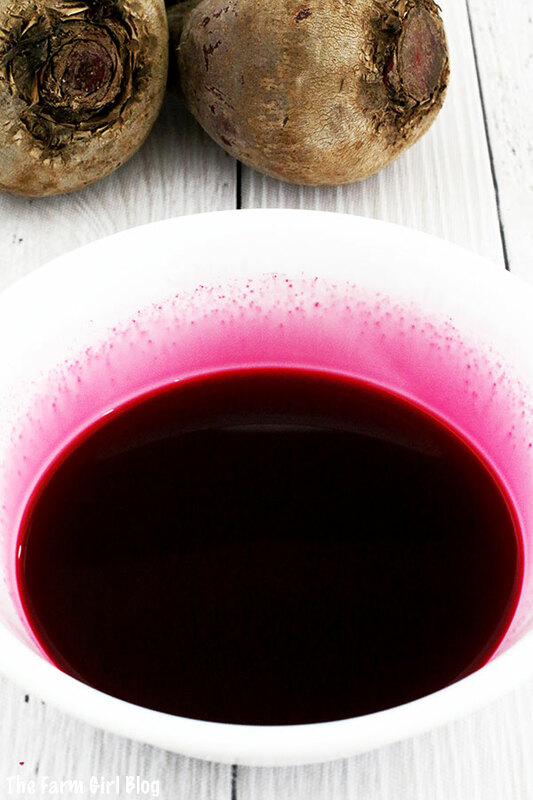 Love this Natural Beet Juice Red Dye post? Please follow me on Instagram, Pinterest, or Facebook for more!